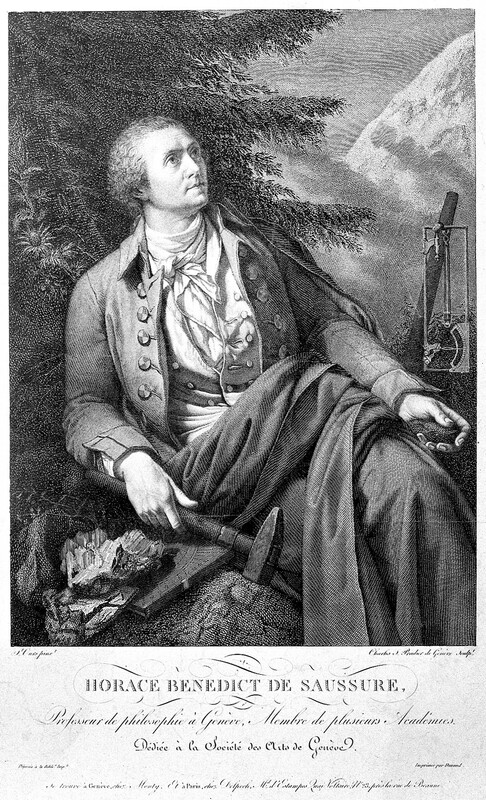 Horace Bénédict de Saussure was a natural philosopher from Geneva who explored the Alps in the late 1700s and puzzled through the reasons for the phenomena he observed. One of the questions he pondered along with a number of his contemporaries was why the mountains were colder than the valleys and plains. 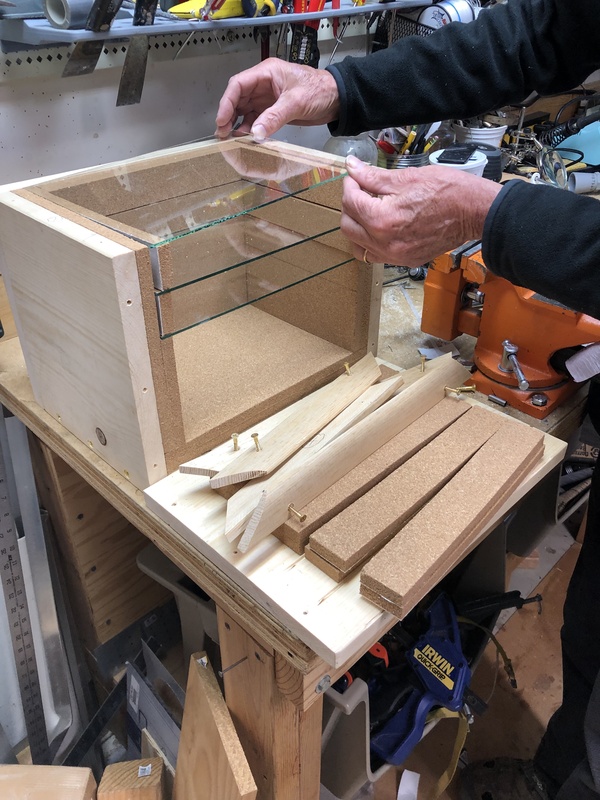 To explore this question he constructed a wooden box, about 12 by 9 by 9 inches, insulated the inside with a one-inch layer of cork which he blackened with lamp black, and closed the top with three layers of glass spaced one and a half inches apart. At the bottom of the box he placed a thermometer. By exposing this box to the light from the Sun for a specific period of time, and measuring the increase in temperature over that time, he could compare the amount of heat absorbed from the Sun at different elevations. He termed his device a “heliothermometrê,” or heliothermometer. On July 16, 1774, he carried his device to the top of Mt. Crammont, a peak rising above the town of Courmayeur in the Val d’Aosta, on the Italian side of Mont Blanc. There at an elevation of about 9,000 feet after an hour’s exposure to the Sun, the temperature in his box had risen to 190°F, contrasting with 43°F in the surrounding air. 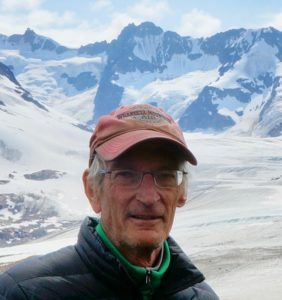 The following day in the valley, 5000 feet below—but under otherwise identical conditions—he measured 187°F with the heliothermometer, and 75°F in the air. From these and similar results he concluded that very little heat is absorbed in the atmosphere from the incoming rays of the Sun, but that heat from the Sun is absorbed at the surface of the Earth and then re-emitted, heating the atmosphere from the bottom up. I have constructed a replica of de Saussure’s heliothermometer and plan attempts to reproduce his results, first in Colorado, then at Mt. Crammont, during the summer of 2019. (Image of Horace Bénédict de Saussure. Line engraving by C. S. Pradier after J. P. St Ours. Wellcome Collection CC-BY-4.0). Here I am assembling the pieces of my replica of de Saussure’s heliothermometer.